These baskets begged for something more than just plain sashing. 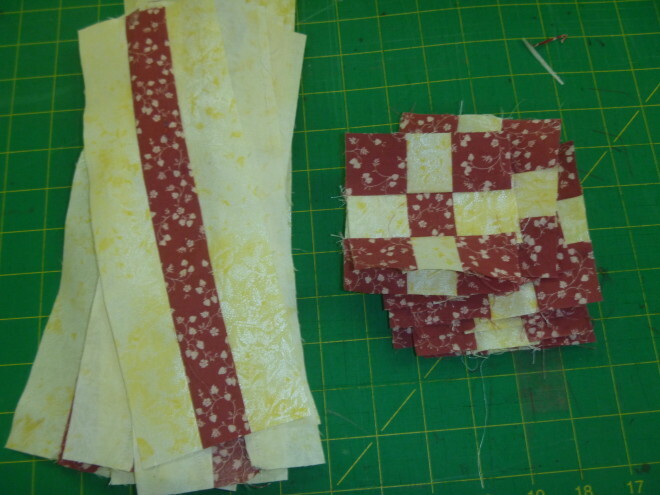 So I made a strip of three fabrics, sandwiching the red between two yellow pieces for the sashing. This called for 9 patch cornerstones. 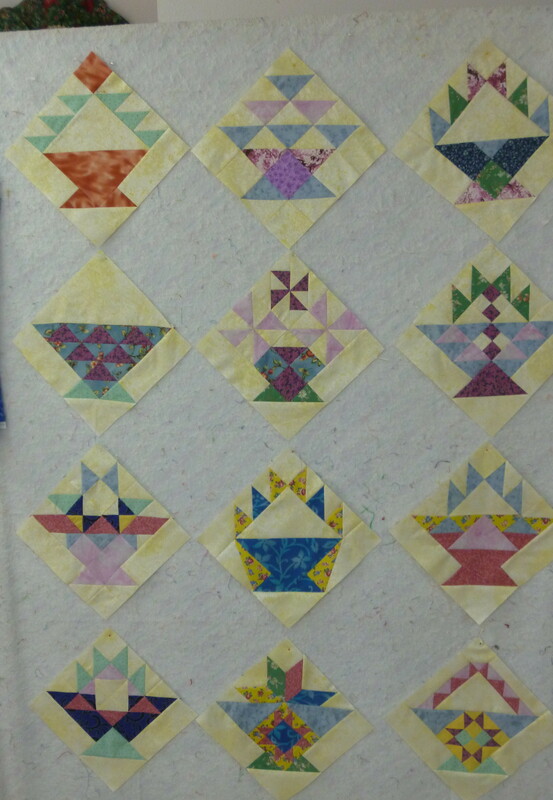 I like the way it’s coming together and hope to get the top finished next week. 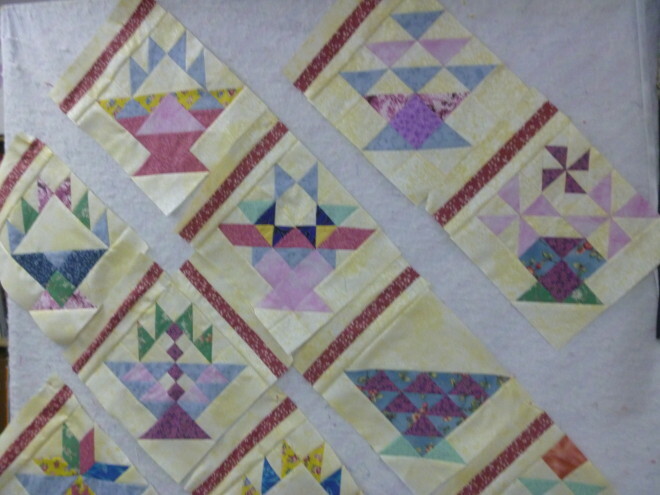 Along with sewing the sashing and cornerstones, I have some setting triangles to add. 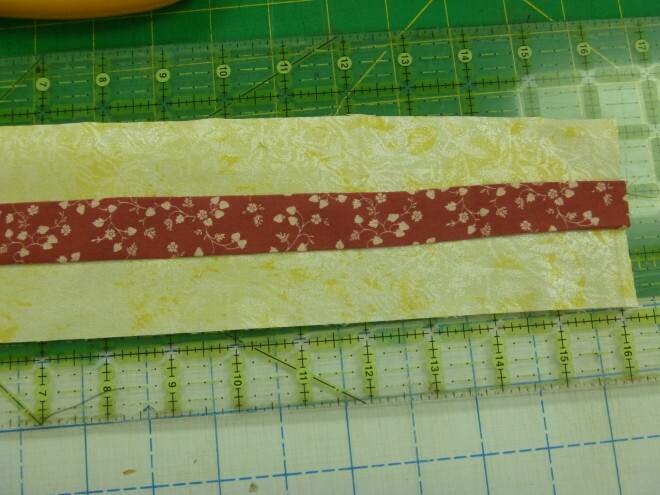 Stay tuned for the sweatshirt finish tomorrow – the buttonholes are done, just the buttons to go! Have any of you started your sweatshirt makeover yet. If you have and would like, I’ll post photos of them here.